April is National Poetry Month, and released just in time to help you celebrate, is My First Book of Haiku Poems, Classic Poems by Japanese Haiku Masters. You’re never too old, nor too young to learn haiku! Why not introduce your children to this unique form of poetry with this beautiful picture book. 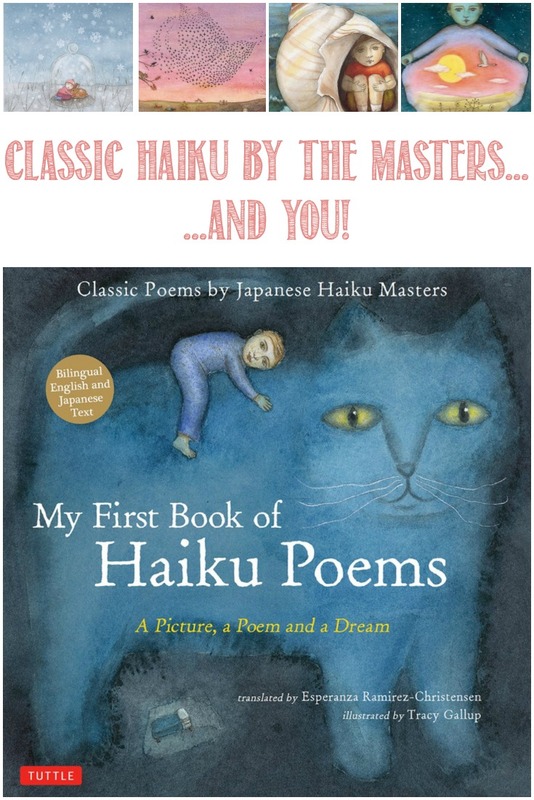 Tuttle Publishing kindly sent us a copy of My First Book of Haiku Poems: A Picture, a Poem and a Dream, Classic Poems by Japanese Haiku Masters for us to review. 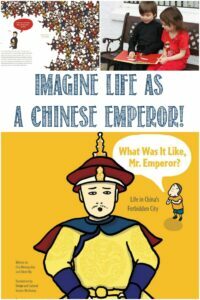 It’s translated by Esperanza Ramirez-Christensen and illustrated by Tracey Gallup. My children were first introduced to haiku last spring when they reviewed Write Your Own Haiku For Kids, and they have been writing a little haiku here and there ever since. 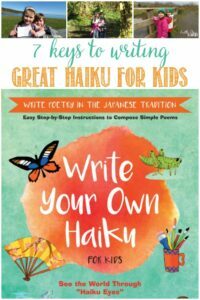 Haiku is especially good for children as it isn’t long and it involves a sense of surprise and lots of visual imagery, too. There are many things to love about My First Book of Haiku Poems! Firstly, I’ll mention that each poem is presented in three ways on the left side of each 2-page spread. The poem is first written in English. Next is is written in Japanese, and thirdly, it’s written in Japanese using romaji (the English alphabet) so that children can practice the Japanese pronunciation of the poem and hear it as it was written. Because haiku are short (traditionally just 17 syllables), seeing it written in a few words isn’t very intimidating for beginners to the language. And for those children who use Japanese as their first language, they’ll be right at home, too, or perhaps can practice their English skills, too. Under the different versions of each poem is a short paragraph for children, parents, and teachers. It tells a little more about the meaning of the poem, which is very helpful for those who don’t have a poetry-centred mind. Then it asks a couple of questions about the poem and the accompanying illustration to get children thinking in wider ways about the world, and their place in it. I love the discussions between Tristan, Kallista, and I that have ensued. The illustrations are full-page and depicted as dreamscapes. They could easily make beautiful pictures for the wall or greeting cards (hint, hint, Tuttle). 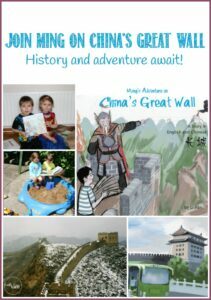 Each dreamscape contains a picture within a picture, which children will have fun identifying and trying to figure out. It’s out of the ordinary, and we love that! When you arrive at the last dreamscape, you’ll notice that there isn’t a haiku to go with it! Now it’s time for our children to write their own haiku to go along with the illustration! There are some guiding words help, but what does each child see in this picture? I won’t share what my children wrote for this, but they were inspired by the book and Tristan and Kallista each wrote their own haiku and painted a picture to go along with it. I love when books inspire them so much! To tell the truth, Kallista’s original picture has been misplaced, so she happily created a second for you! If you’d like to introduce your children to the world of haiku and the imagination it can foster, then I’d highly recommend this book! It’s also brilliant, just based on the dreamscapes alone, and I’d love to hear how whole classrooms could come up with their own unique haiku based on them.